It was the late, great theatre maverick, mischief-maker and showman Ken Campbell who used to say that a play should be either less than 90 minutes or more than nine hours and nothing in between. There is an element of truth in this, coming from the man who, in 1979, produced and directed in London and Edinburgh The Warp, a 22-hour play that has become the stuff of legend. 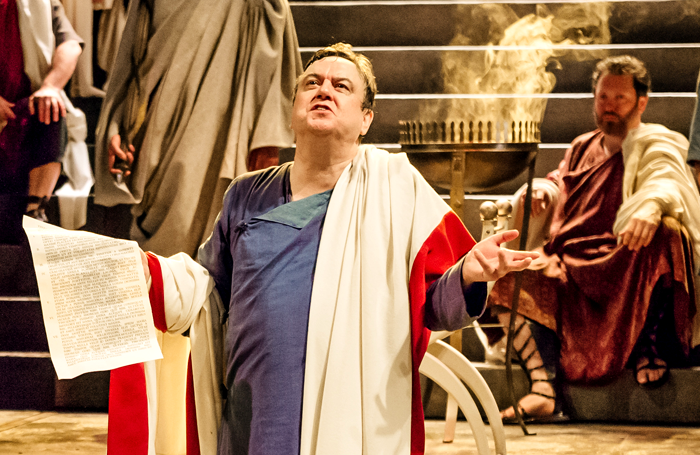 Last week, the Royal Shakespeare Company’s transfer of Mike Poulton’s two-part play Imperium concluded its limited run in the West End. Its staging represents part of a renewed commercial interest in plays performed across two parts. In recent years, such stagings have included Harry Potter and the Cursed Child, Wolf Hall and Angels in America. Next month, the Young Vic’s production of The Inheritance also transfers to the West End. With the exception of Harry Potter, these works are often described as “epic dramas” and have transferred to the West End or Broadway from the subsidised sector where they were first created. They also proved quick to sell out in their subsidised runs but, in subsequent West End or Broadway transfers, they have often struggled. It was 1980 when David Edgar’s two-part adaptation of Nicholas Nickleby for the RSC burst on to the stage and achieved legendary status on both sides of the Atlantic. Edgar’s adaptation joined a long history of two-part plays, and commercial theatre has strived to repeat its success ever since. However, today’s subsidised audiences seem to be more conditioned and excited by the idea of seeing works played across more than one evening than their commercial counterparts. Once, rave notices and a sell-out run in the subsidised sector might have almost guaranteed the same success within any commercial transfer. Today’s commercial audiences may simply be more hesitant to commit to paying out for multiple tickets upfront, while subsidised and regular theatregoers are savvy enough to catch the work in its first run at a lower ticket price before any commercial transfer is even mooted. The commercial-transfer pattern of such works has been one where double-performance days (when audiences can see both parts) are almost always the ones that sell strongest. But you cannot play a performance schedule like that every day, which makes their marketing challenging. This is especially the case if a commercial audience is booking to see Part One before deciding whether to commit to Part Two. Along with then leaving an imbalanced performance schedule, it also defeats the point of these productions, which are for the most part written to be seen in two (or multiple) parts. A secondary challenge to commercial success is their physical placement in a theatre. As they move into a commercial run, associated increased costs mean a larger-capacity auditorium is needed to make the weekly break-even figure. Even without a fixed London home, an RSC transfer from Stratford still has the ability to tap its London subscribers. But this is not the case on Broadway. 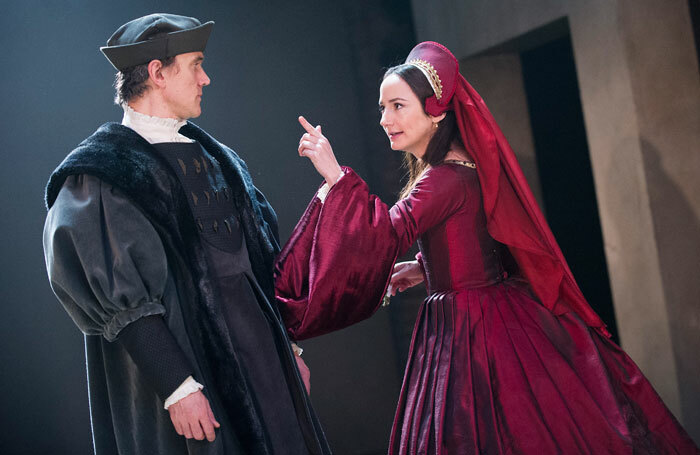 The RSC’s 2015 Broadway transfer of Wolf Hall and the National’s 2018 transfer of Angels in America ended up in New York’s Winter Garden and Neil Simon theatres respectively. Both are usually used for large-scale musicals and, while they afforded the necessary potential capacity, both productions felt lost. Despite their sell-out London runs, on Broadway these shows became forced to discount their tickets heavily, as they struggled at the box office. Seeing something in the wrong theatre can radically alter the experience. But it also asks the question of whether in the commercial theatre the challenges associated both to deliver and successfully recoup the costs of the transfer of a two-part play are often too difficult to make the effort worthwhile. This is not a new problem. Alan Ayckbourn, the contemporary playwright who has played most with this format, found both his 1991 two-part play The Revengers’ Comedies and 2001 trilogy Damsels in Distress (FlatSpin, GamePlan and RolePlay) enjoyed strong runs in the subsidised sector, but failed to connect with audiences in their West End transfers. Does this mean that a play written in more than one part is actually better served by staying (and extending) in the subsidised sector, and for an international transfer by moving to a similar, not-for-profit theatre? I often find these epic works the most thrilling to watch, not least because of the journey that the audience takes with the company performing them. However, the success of Harry Potter has not yet lit a fire in commercial audiences’ bellies for more two-part productions. For directors, multi-parters can prove to be a career-defining moment. Both Adrian Noble’s RSC staging in 1989 of The Plantagenets and Michael Boyd’s 2000 production of Henry VI parts I, II and III had played shortly before the post of the company’s next artistic director arose. These epic productions undoubtedly greatly enhanced their applications in getting the top job. Trevor Nunn and John Caird’s staging of Nicholas Nickleby led its directors to move into commercial musicals, where the influence of that work’s directorial style is seen in the growth of the 1980s musical blockbuster in Britain. Perhaps surprisingly, musicals themselves have not explored the concept of two-part works, although there have been sequels, many of which were commercial box office failures. Multiple-part plays can be groundbreaking and exciting to watch, but the factors needed to achieve commercial success can also make these some of the most complex productions to produce.